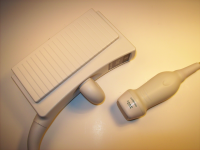 Transcranial Doppler ultrasound imaging has experienced a tremendous growth rate in recent years, as the price of used transcranial Doppler ultrasound equipment has fallen and the more medical professionals and patients are realizing the benefits of TCD imaging. 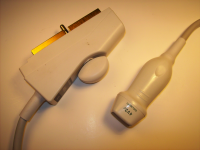 Whether your office has been doing TCD ultrasound imaging for many years or is just getting into it, UsedUltrasound.com can help you save money with a great selection of used transcranial ultrasound probes for sale. Our prices can save you more than 60% off the original retail cost, and we proudly offer a 100% satisfaction guarantee so that you can buy with total confidence. The use of transcranial Doppler ultrasound scanning allows for the operator to test the blood flow velocity through the brain, which can help diagnose and prevent a variety of problems. 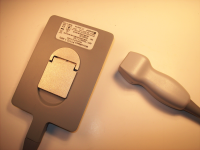 As the cost of equipment and of TCD tests have come down significantly, this aspect of ultrasound use has become more popular, especially now that many portable ultrasound machines are capable of TCD imaging. 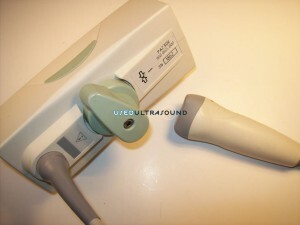 You can save even more money on transcranial ultrasound equipment when you buy refurbished machines, probes and transducers from UsedUltrasound.com. Contact us today and a member of our expert customer service team will answer any questions you have about prices, financing or shipping. We can also help you save money with a comprehensive ultrasound service contract that will keep your ultrasound equipment in peak operating condition. 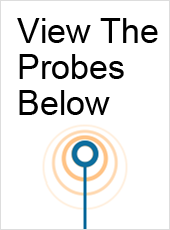 To get the best price on any of the refurbished transcranial Doppler ultrasound probe for sale at UsedUltrasound.com, all it takes is one phone call or email and we’ll be happy to provide current pricing information with absolutely no obligation at all. 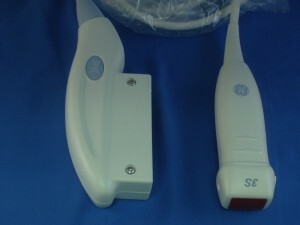 And if you have been searching for a used TCD ultrasound probe that you do not see listed at UsedUltrasound.com, just let us know and we’ll do our best to acquire it for you at the lowest price.